The XC55 series is optimized for outdoor application. The series has a full-daylight LED matrix with automatic brightness control and housings with weatherproof powder coating. Additionally, an integrated heater and a pressure equalization ensure that no condensation can form in the housing. The devices are designed for wall mounting and have side ventilation grilles. For the outdoor devices of the XC55 series a weather protection hood is recommended. 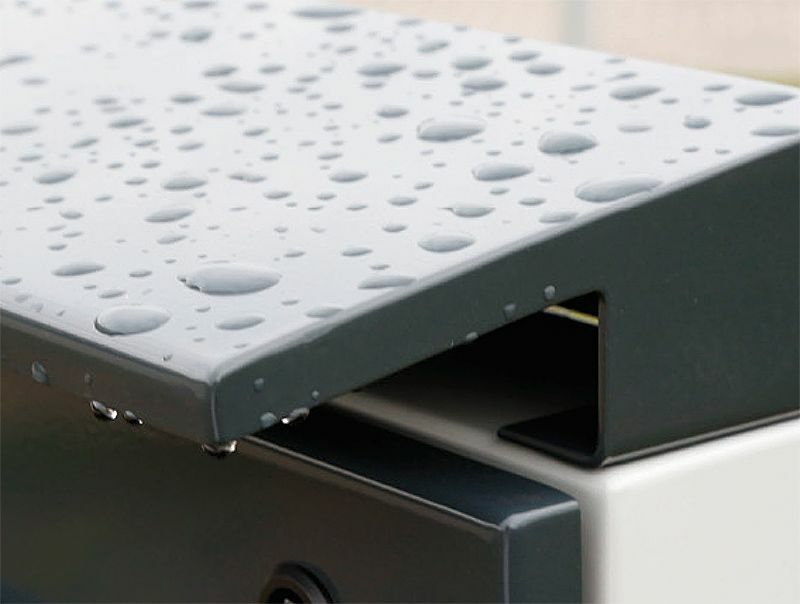 It protects the devices from rain, snow and icing as well as heat gain by sunlight. 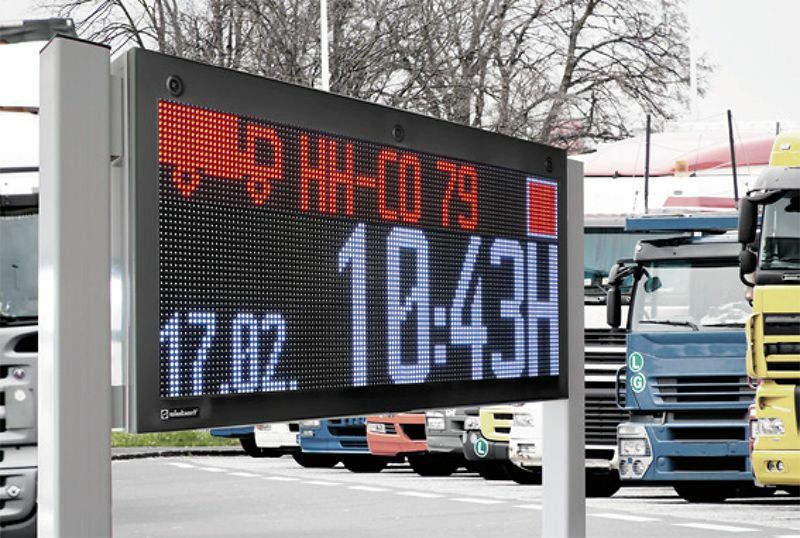 For use under very high ambient temperatures the bigger displays, which are readable from one side, can be equipped with air conditioners. 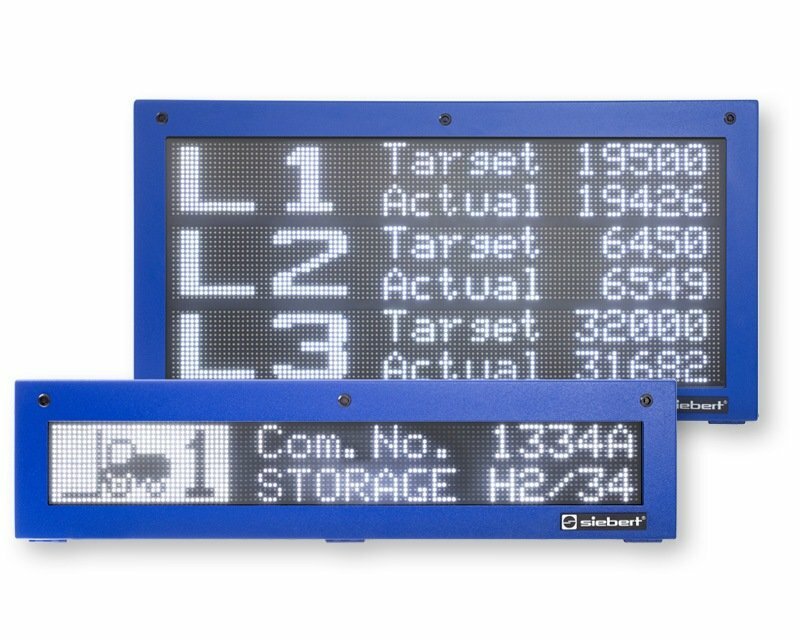 The displays can be easily opened and closed with quick-release fasteners. 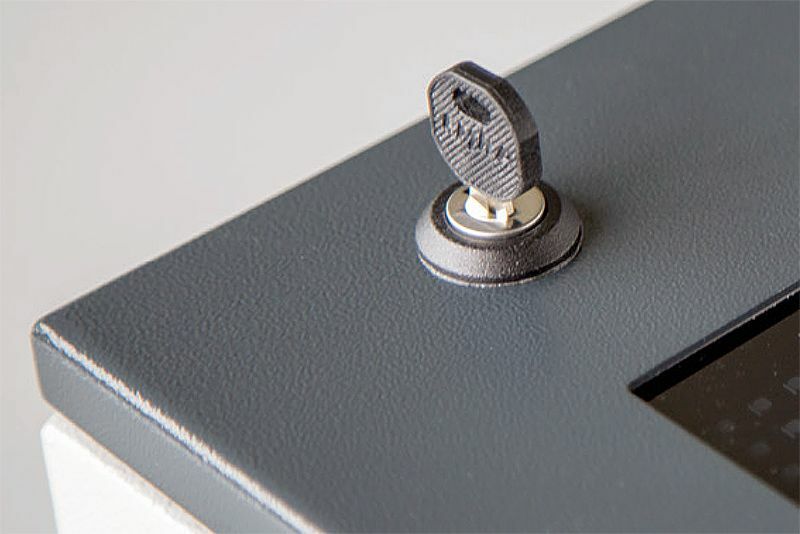 Optionally lockable closures are possible. 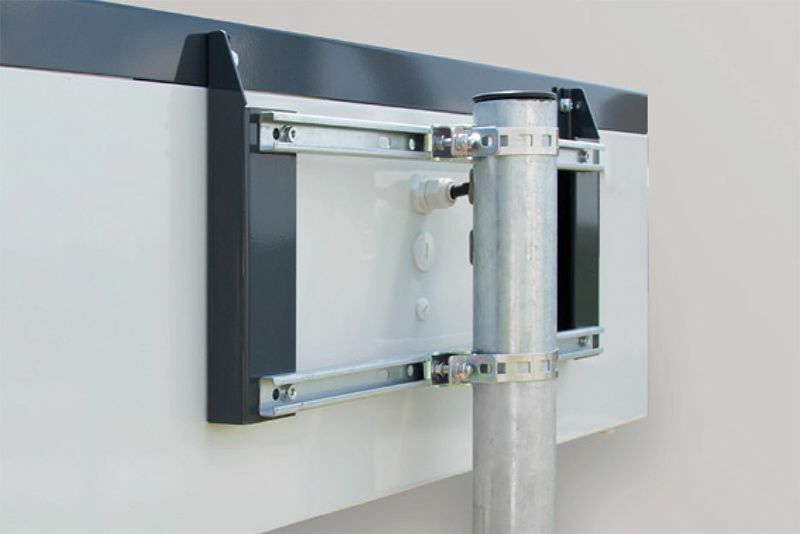 Suitable mounting accessories are available for mounting the devices to masts. For larger displays pedestal systems are offered. The supply of data and power cables is done via cable glans. 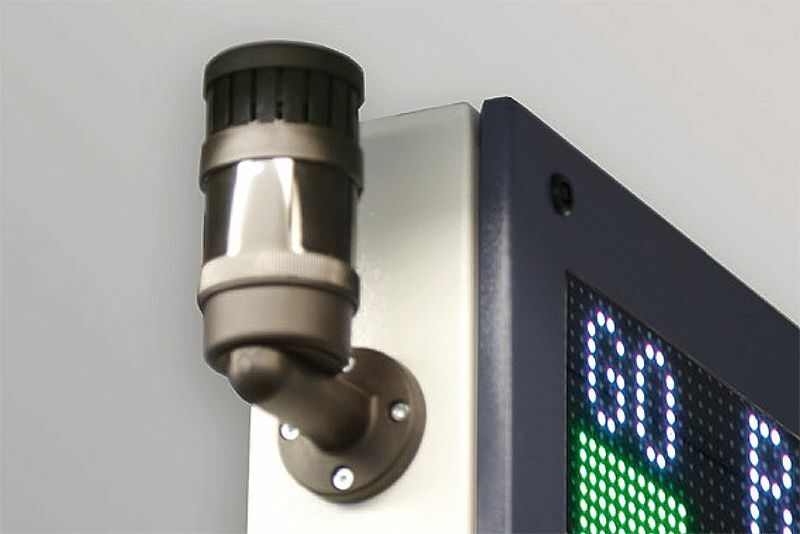 Optionally the displays are available with connectors for the data and power cable. 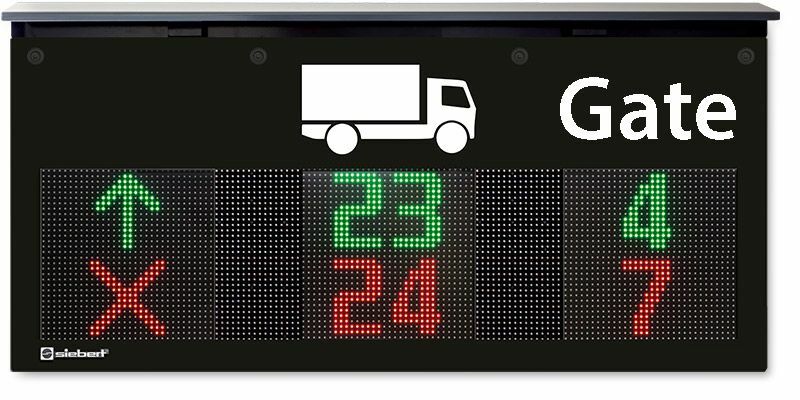 The displays can be equipped with flashing lights, warning beacons, horns or sound modules to for example signal a change on the display. 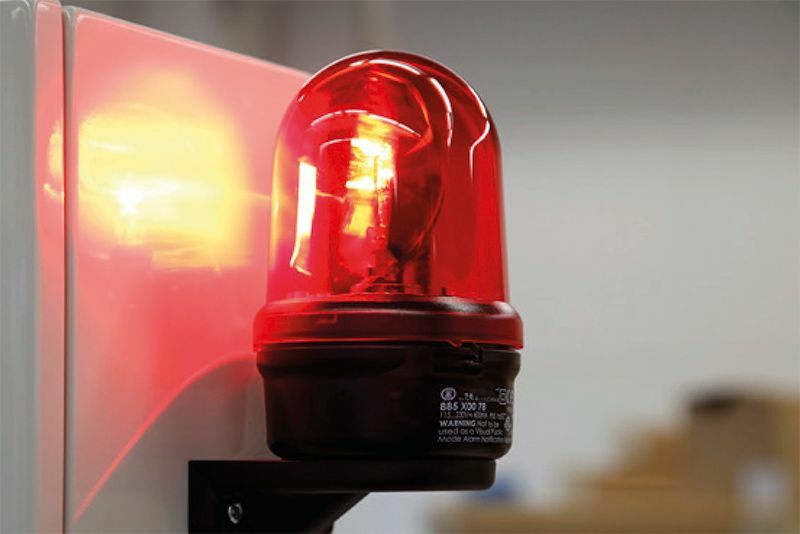 User- or industry-specific solutions can be easily realized by additional software modules in the control computer. Examples are call systems, guidance systems, production control, etc..